Make headbands, neck scarves, banners or flags! 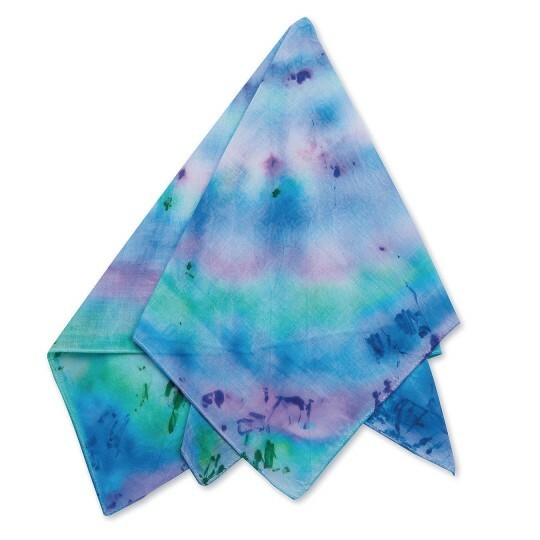 A terrific tie-dye project. 21-1/2" square with finished edges. 100% cotton. 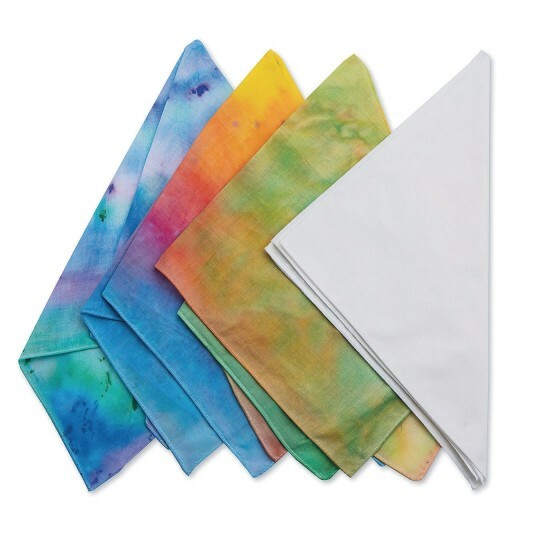 Plain white bandanas can be used in so many ways! 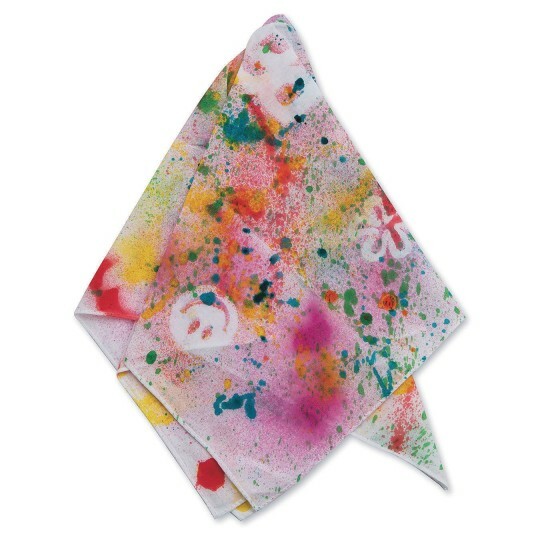 We can paint the bandanas with all sorts of designs. Children love them. This was a great value for our senior craft project! 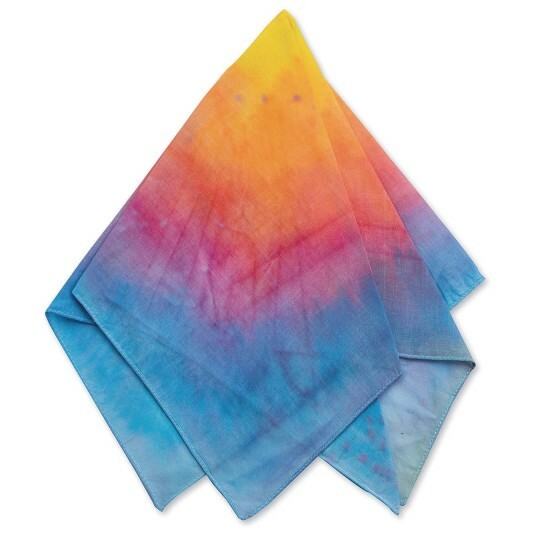 We used these bandanas for our Sharpie Tie-Dye craft. 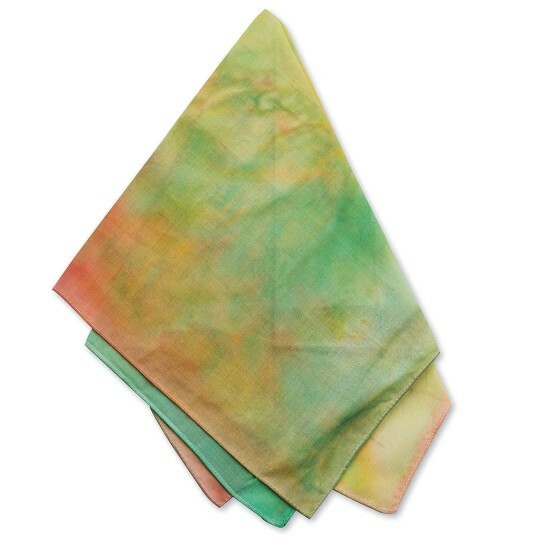 The weave of the bandana was a more coarse cotton weave causing the ink to bleed before we added the alcohol. But because the ultimate point was for bleeding of colors to occur it had no negative effect on the final result of the craft. 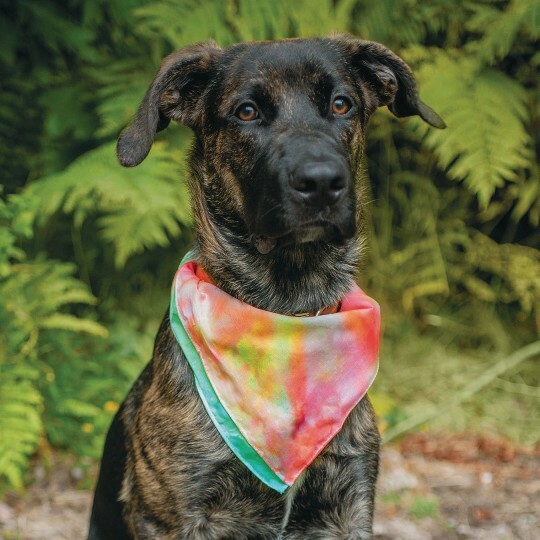 It's not the highest quality bandana but the price and value were perfect for our craft project.